We’ve all had moments when we are desperate to get out of the car. Maybe we are stuck in traffic at the end of a long drive, maybe our glove compartment food supply has run out and we are hungry, or maybe that extra-large soda wasn’t such a good idea. Then there are the places that people will travel to across land, air or sea just to get back in the car, put on a killer playlist, and go. California’s Highway 1 to Big Sur is one of those drives. There are drives that are pretty. Maybe the road has a handful of stops worth making featuring views only Mother Nature could create. Big Sur is not that drive. Big Sur is so stunningly beautiful mile after mile that it becomes difficult to continue forward. Big Sur will make you question how you’ve enjoyed previous drives. 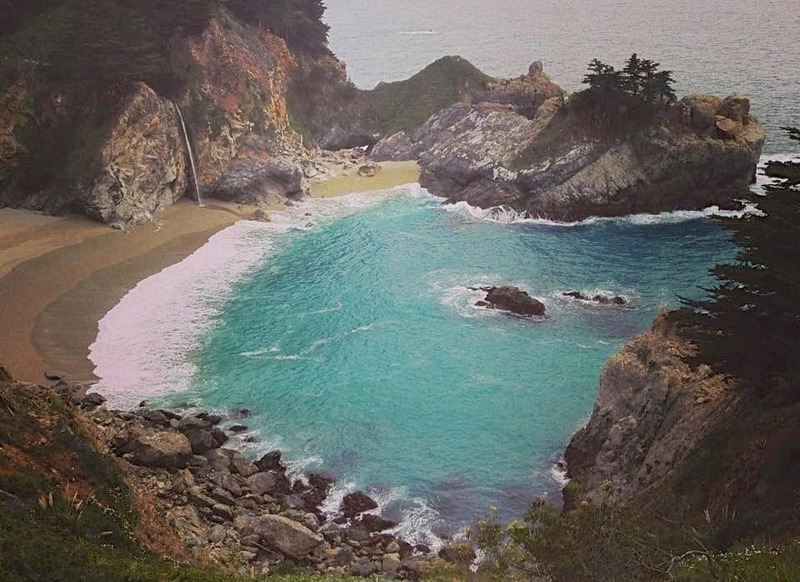 Big Sur will make you want to quit your job and become a hermit in the mountains. 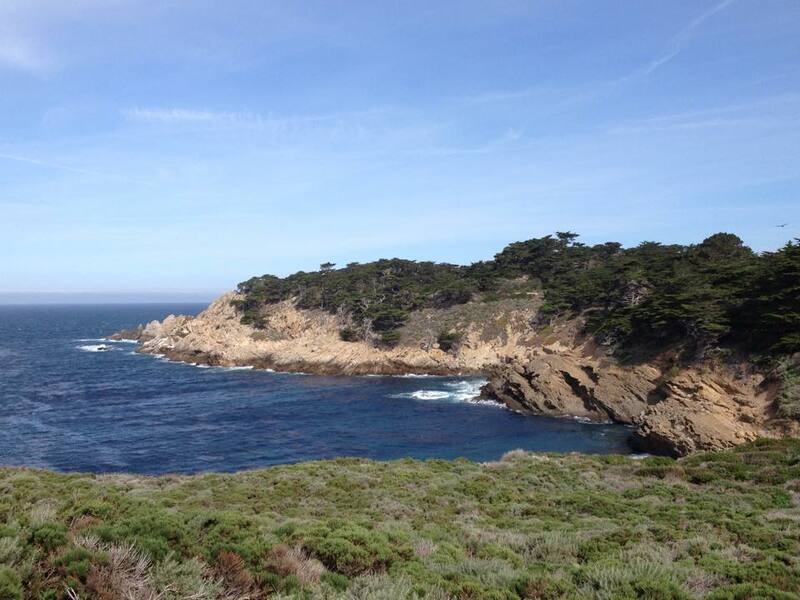 Big Sur will leave you completely breathless. 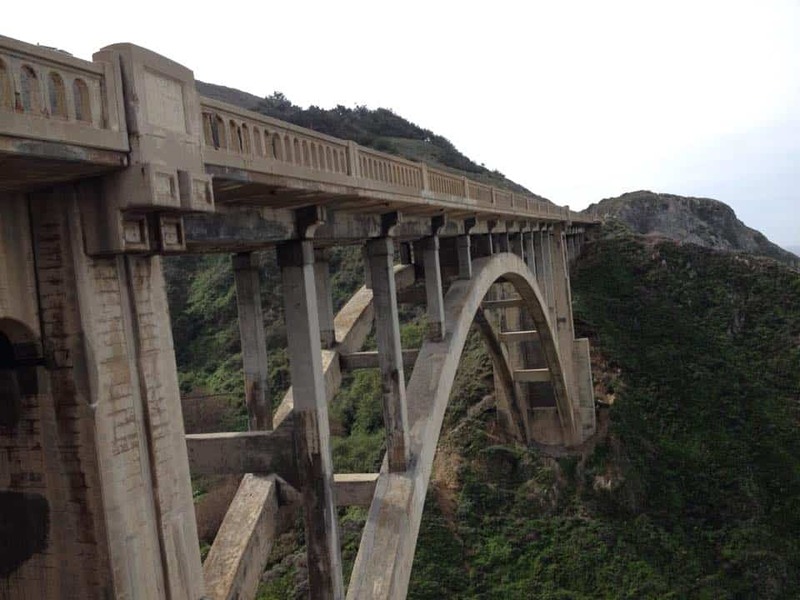 Bixby Bridge is an impressive piece of architecture. Located hundreds of feet above Bixby Creek, the bridge, and its importance in making Highway 1 possible, is something to be marveled at. Pfeiffer Big Sur State Park is home to the towering redwoods that northern California is famous for, and there are plenty of trails worth doing. Valley View trail overlooks a lovely valley (as the name implies) and also leads to a small waterfall in the woods. The drive continues south down Highway 1 and arrives at Julia Pfeiffer Burns State Park, home to McWay Falls (the reason that everyone completes this drive in the first place). The falls is located in the beautifully turquois McWay Cove, and spills into either sand or sea, depending on the tide. The beach below looks exceptionally inviting, but is not accessible due to dangerous tides. A quick trip down the road leads to the entrance and parking lot with access the rest of Julia Pfeiffer Burns State Park (though parking on the road is easy and free). Again, the park is home to many other worthwhile trails, but this time with coastal rather than valley views. Seals are easy to spot playing in the water (there is actually an entire seal colony that resides in the area), and if you’re lucky, you may even see whales! If camping is your passion, it is very much possible in the beautiful state parks. 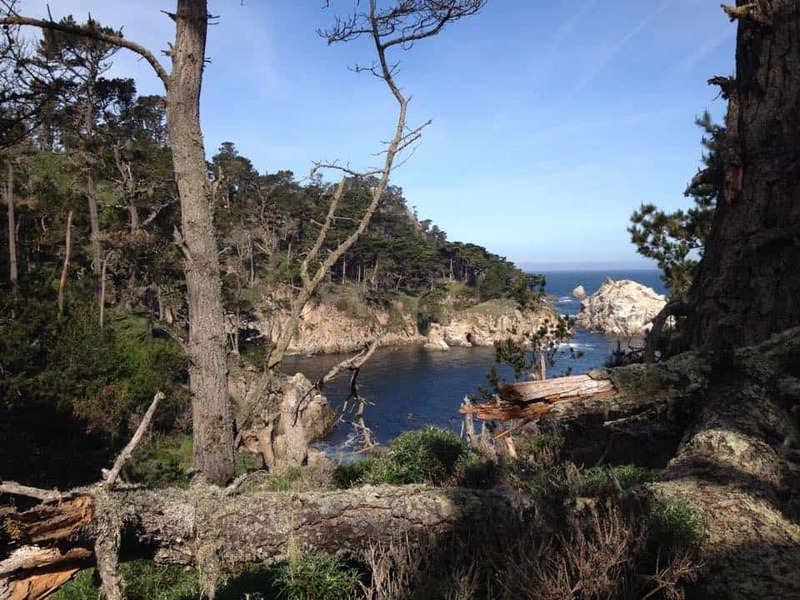 If you prefer a more substantial roof over your head, the idyllic towns of Carmel and Monterey are each home to hotels or charming bed and breakfasts. The Monterey Hostel is an inexpensive option and the bunks feature tempur-pedic mattresses (though party goers beware, this is not the hostel for you)! So pack a lunch, eat at a café in Carmel or one of the diners along the drive (just be sure to get some food somewhere! 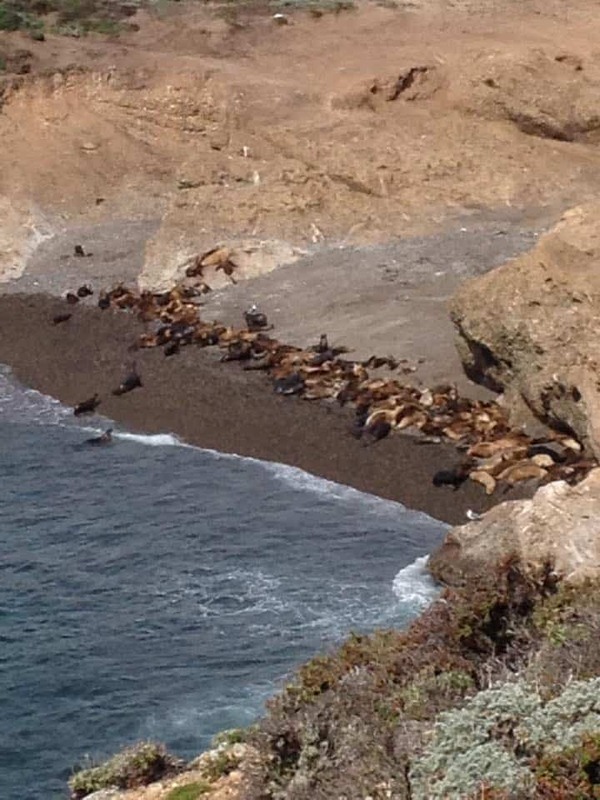 ), grab your friends and family, pile in someone’s vehicle and discover what Big Sur is all about. Megan is a proud Wisconsinite, she currently lives in Ghana; a country with the greatest mangoes on earth and an almost nonexistent cheese supply. After spending two years in Sydney, she claims to speak fluent Australian even though people tell her that it’s not exactly a résumé worthy skill. Apart from moving around a lot, her hobbies include watching home renovation shows, going to the beach, and eating non spicy Mexican food. You'll get along great if you also like exploring waterfalls or if you pretend to be interested when she shows you photos of her dog.